Changes are instantly sent to the entire team on every device. PlanGrid is the best thing to happen to construction in the last 10 years...cuts time in half, and drawings are always current. 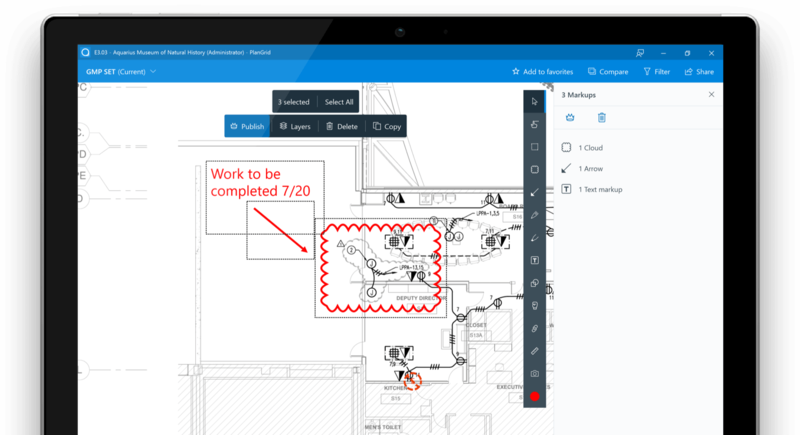 Add specific markups or redlines to an RFI, then hit publish—everything will automatically sync on all team members’ devices. 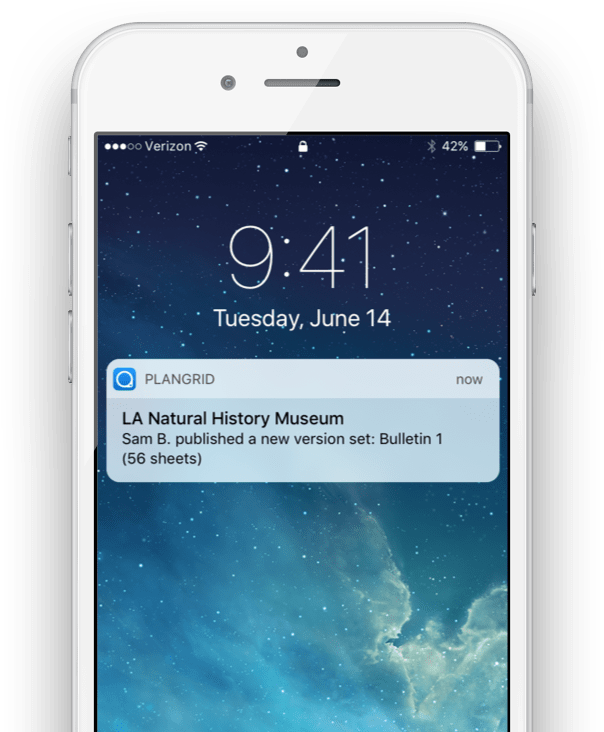 Automatically notify users anytime a new version set is published, issue is assigned, or status has changed with mobile push notifications, email, and the project notifications center. As soon as your team members sign in to the web or mobile app, they will be prompted to sync any changed projects. Continue working, even without an internet connection. Your changes will automatically be saved and synced once you’re back within WiFi range. Remove any markups from the master set and make them personal again by simply selecting and removing from master.